At the Dolan Technology Center, we test various energy storage devices. In addition to the traditional battery, we test other forms of energy storage including thermal energy storage. Did you know you can store energy in ice? 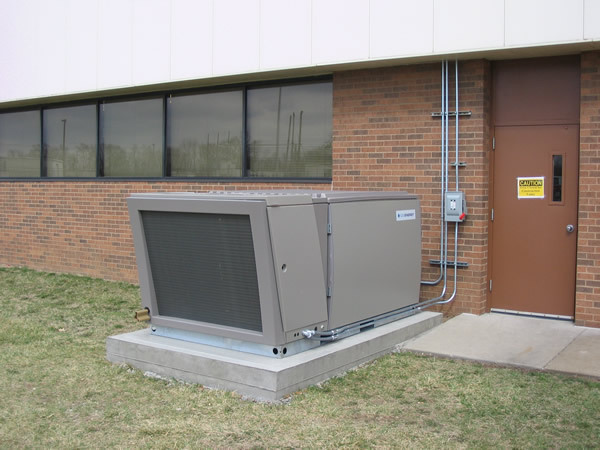 Well it is possible and in 2009 the Dolan Technology Center installed an Ice Energy – Ice Bear 30 Hybrid to test whether energy stored in ice can be used to cool a building. 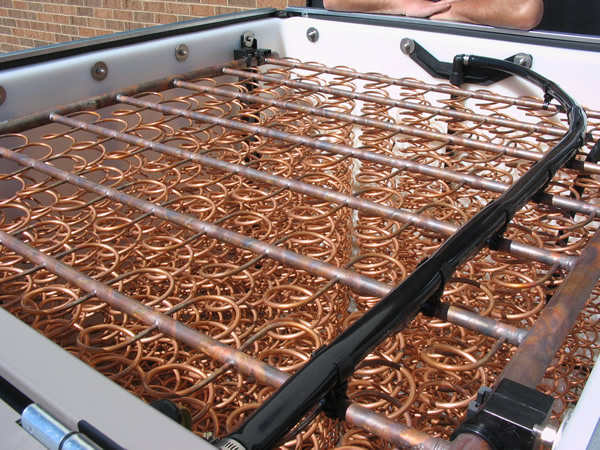 Each night, during warmer weather, the unit freezes a portion of the 465 gallons of water in an insulated tank containing copper tubes filled with refrigerant. During the day, the chilled refrigerant circulates through the tubes that were surrounded by the nightly ice formation to provide the building’s cooling energy through a condenser coil installed in existing A/C ductwork inside the building. According to Ice Energy, the ICE Bear 30 system can shift peak energy consumption to off-peak hours and reduces 6,000 watts of peak energy consumption to as little as 300 watts during a typical daily peak. In addition to thermal storage testing, the DTC conducts a number of battery testing initiatives. These can range from MW scale energy storage deployments to increase reliability and defer capital investments to smaller batteries to support applications such as smart grid communications devices that rely on a standby battery to ride through short duration outages. At the DTC we have dedicated battery testing resources that can test batteries up to 100 V DC and up to +/- 50 Amps. 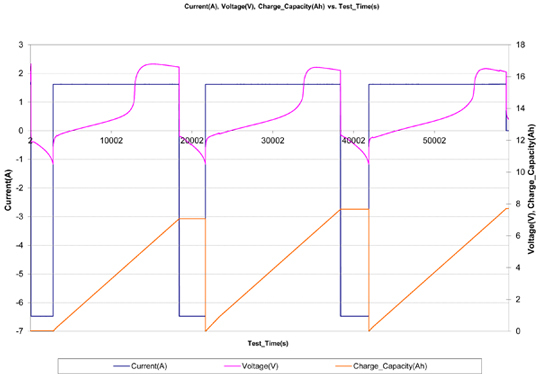 These systems can test multiple batteries at once and can be used to test the batteries for their capacity, efficiency and to validate charge and discharge behaviors. 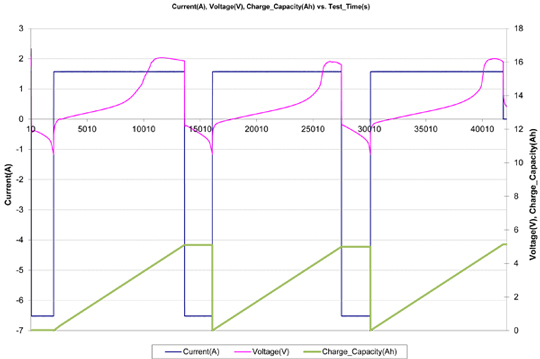 As an example and to illustrate some of our capabilities, Figure 3 documents the testing of a good 8 AH lead acid battery while Figure 4 represents a failing 8 AH lead acid battery. Both batteries are from the same manufacturer and are the same size, type and model. The battery represented by Figure 4 is no longer able to maintain an acceptable capacity and will be removed from service and recycled. These energy storage testing capabilities ensure the batteries that we are deploying to the field remain viable. They also allow us to test new energy storage devices to document charge/discharge behaviors and to measure battery efficiency and life expectancy. If you need help testing your next generation battery or energy storage system, consider the skilled team at the Dolan Technology Center. We have the equipment and the expertise to help with all of your energy storage testing needs.